With the increasing rate of cyber crimes, it is now necessary for us to double check mails from our financial institutions especially banks. 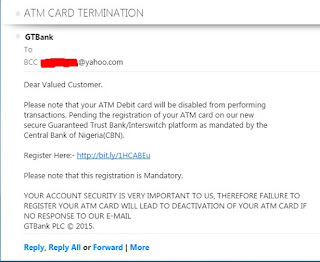 A family member of mine opened a GTbank account and got this phishing mail same week, See screen shot below. 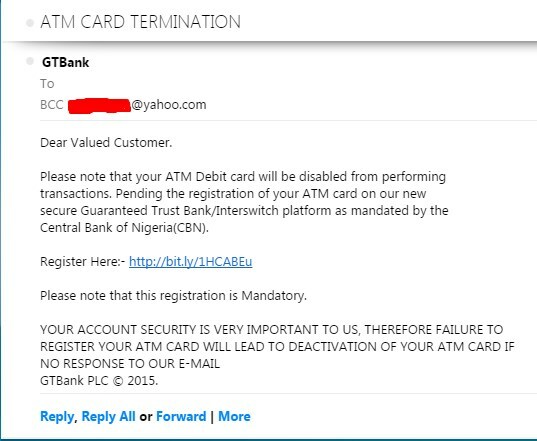 If you are very familiar with GTbank mails, you would know that GTbank usually address customers with their names rather than "Dear Customer". 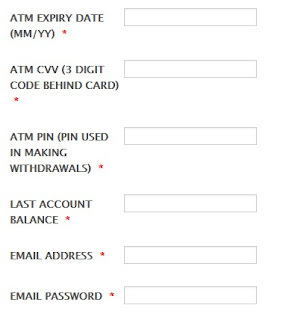 Thirdly, There is no directive from central bank for all ATM cards to be registered on any special website. 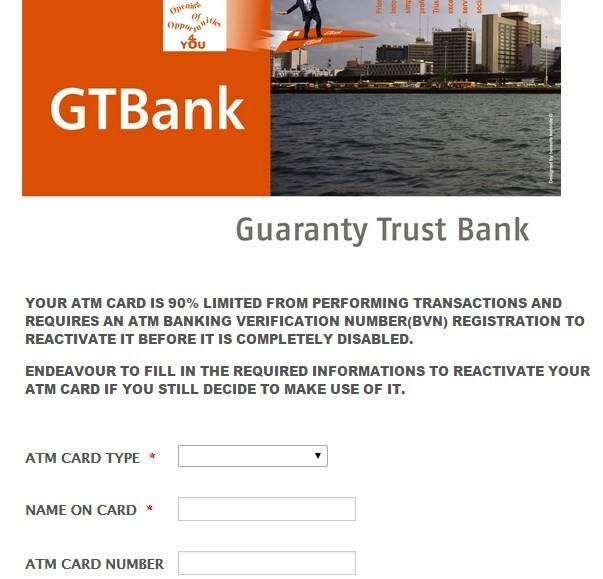 And lastly, GTbank will never request for your ATM card number or PIN as seen in the screen shot of the url below. 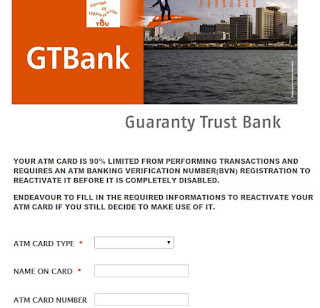 See screenshot of the fake Gtbank site contained in the email. 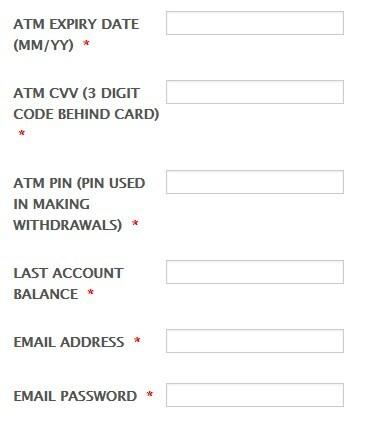 The scammer was actually requesting for ATM card no, PIN, Expiry Date and CVV2.... Imagine! Stay sharp guys, share this post with all your friends you care about, you never know who would be receiving such messages next. Make your contributions via the comments box below this post. Don't forget to share this post as well.